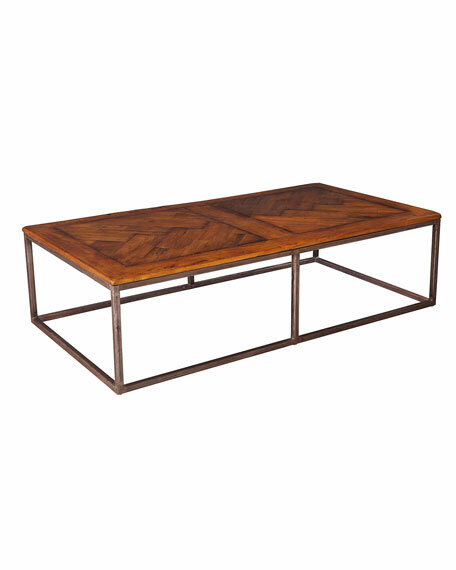 Coffee table made of recycled wood and iron. Please note: because these pieces are crafted using reclaimed lumber, each will display cracks, scrapes, and imperfections that add distinct character but do not affect the structure of the piece. Each will vary slightly. 65"W x 35"D x 18"T.